Syed Amjad Ali on Twitter: "Meaningful #eLearningModules Ensure Success of the #eLearningCourse #swift #swiftelearning #OnlineTtraining https://t.co/6zhtNRpRCs… https://t.co/NOwgKbZzgu"
Syed Amjad Ali on Twitter: "5 Common Mistakes to Avoid While Selecting a #LearningManagementSystem #LMS #swiftelearning #OnlineLearning #swift https://t.co/w5o1r2Y1Ke… https://t.co/MVUfmaOQSS"
Syed Amjad Ali on Twitter: "Indulge Your #OnlineLearners with #Gamification #swift #swiftelearning #eLearning #OnlineTtraining https://t.co/ywk5C7pPoi… https://t.co/gPRnNlKhYW"
Syed Amjad Ali on Twitter: "#Articulate360Rise: Creating #MobileLearning #Apps For #MicroLearning #swift #swiftelearning #eLearning #Articulate https://t.co/Lz7bMuHvPH… https://t.co/zMN5kvDXcF"
Syed Amjad Ali on Twitter: "#CustomeLearning: 4 Fundamental Ingredients to Set Your #ContentDevelopment on Fire. #Swiftelearning #swift https://t.co/Kwryaew98B… https://t.co/sqZ43fZDux"
Syed Amjad Ali on Twitter: "How to Create Custom Volume Controls in #ArticulateStoryline2? 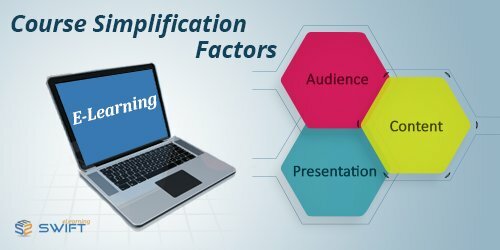 #swift #swifteLearning #Storyline2 #AuthoringTool https://t.co/89NTasWPiV… https://t.co/Fr1S26Zcs8"
Syed Amjad Ali on Twitter: "Manage Blended #Learning Easily With The #eLearning Platform. #Swift #SwifteLearning #BlendedLearning https://t.co/e44peUU1H2… https://t.co/pOXgwxmH3i"
Syed Amjad Ali on Twitter: "Is #MobileLearning An Ideal Solution To #Train Your Sales Team On The Field? #SalesTraining #OnlineLearning https://t.co/025loZgrJg… https://t.co/GIUshQr4cd"
Syed Amjad Ali on Twitter: "#MobileLearning – The new age #technology for the fast #learners #eLearning#mLearnin #OnlineLearning #LMS https://t.co/VbVR99ZjTL… https://t.co/lrBG2pJhRe"
Syed Amjad Ali on Twitter: "How to #Assess a Competent #ELearningVendor or #eLearning #ServiceProvider? #swift #SwifteLearning #onlineLearning https://t.co/ja5nvqYS2E… https://t.co/Ax0ZRLsUx1"
Syed Amjad Ali on Twitter: "#Articulate #Storyline3 First Look: What’s New and What’s Improved? #Swift #ArticulateStoryline3 #AuthoringTool https://t.co/sirEySgVvI… https://t.co/7r4NR9rygn"
Syed Amjad Ali on Twitter: "5E Instructional Model for – A Model Preferred by #NASA #swift #swifteLearning #eLearning #InstructionalDesign https://t.co/ommecAHvRC… https://t.co/sZwCJyYPUl"
Syed Amjad Ali on Twitter: "#Responsive eLearning – #ArticulateStoryline360 Vs #ArticulateRise with Sample #swift #swifteLearning https://t.co/CChpMZK82c… https://t.co/1FENuk7b2X"